Ford was slow to cash in on the SUV craze. When its Kuga appeared in 2008, some of its rivals were in second or even third-generation form; the Toyota Rav4 that launched the segment arrived in 1996. 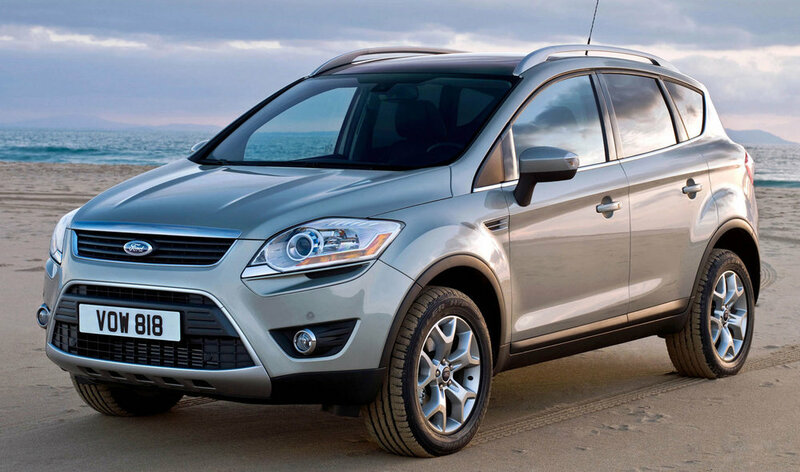 But the Kuga was worth waiting for because in typical Ford fashion it was one of the best cars in its class to drive, build quality and reliability were decent and you got plenty for your money. In common with most of its rivals the Kuga was designed mainly for road use, but as the safest compact SUV that Euro NCAP had ever tested - and for a host of other reasons, the Kuga makes great sense as a family car. 6/08: The Kuga reaches UK showrooms in 134bhp 2.0 TDCi form and with a choice of Zetec or Titanium trims and intelligent all-wheel drive. 12/08: There's now a 134bhp front-wheel drive 2.0 TDCi, with lower CO2 emissions. A 197bhp 2.5-litre turbocharged petrol Kuga is also introduced, with 4WD and six-speed manual or five-speed auto transmissions. 6/10: A high-spec trim level 'Individual' arrives with 19-inch alloys, roof rails, privacy glass and extra bodywork detailing. There's also a new 160bhp 2.0 TDCi and the 134bhp version is boosted to 138bhp. Ford's Powershift six-speed dual-clutch transmission is now optional with the 2.0 TDCi engine. You need a special cable, part #1529487, for an MP3 player to work through the car's audio system. Kugas with four-wheel drive can suffer from failure of the Haldex coupling, which is very costly to fix. All engines have a cam belt that needs to be replaced every 10 years and 100-120,000 miles. Many owners have had problems with fuel leaks after filling up; it comes out of the breather pipe near the filler. Some interior trim wears quickly, especially the gearstick gaiter. The seat trim can also wear; even if it doesn't, creaks are common. The seals for the rear lights can perish, allowing moisture in, so condensation forms inside the clusters. Alloy wheels of all sizes corrode badly; the machined faces suffer the worst. The window seals can squeak where they come into contact with the glass. Buy some Gummi Pfledge (search online) to quell the racket.